Wondering what snowboard to get to learn how to butter a snowboard? Check out the 2016 Never Summer Funslinger snowboard. 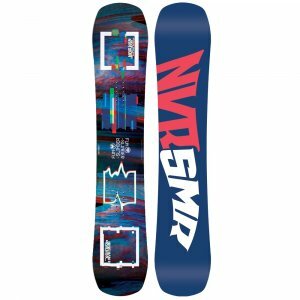 The Never Summer Funslinger snowboard was one of our most requested snowboard reviews since it came out half-way through the 2015 season. Even though it copies the NS Ripsaw’s exaggerated rocker and camber zones, the Funslinger is 10 times softer. It’s softer than any EVO we have ever tested (and we’ve test them for about 5 years), thus making it the softest Never Summer snowboard we have ever tested. If you’re an experienced park rider and like to do the bigger jumps too, you might want to take a closer look at the Evo. The Evo is a bit more forgiving when you don’t have perfect landings. But as Jeremy said, you have to get used to the soft tips on the Funslinger. Something to note, it’s still has Never Summer’s dampness. We were able to ride this a little all mountain and we found to could handle top speeds despite its incredible softness. This isn’t the type of jib board where you feel every little difference in the snow. 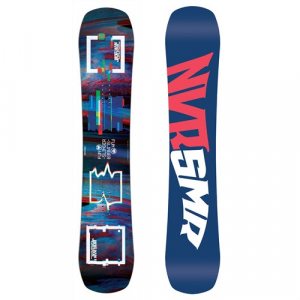 Bottom line, if you’re thinking you want a soft jibby snowboard with an amazing 3 year warrantee, and made in the USA, there is only one choice, the Never Summer Funslinger. The Funslinger is a soft asymmetrical freestyle deck designed to dominate park, pipe, street, and rails. This awesome asym features our new Boost Flex Core and Ripsaw Profile for mega pop and super stability while retaining forgiving flex. The ‘Slinger sets a new standard for twin asym freestyle boards. We’ve created one of the lightest freestyle boards on the market and it comes complete with Never Summer’s legendary stability, snap and durability.